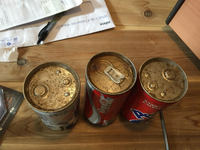 I was ripping down some old paneling in my house and found these old cans in the walls oddly enough. 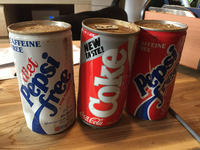 They're unopened but empty (i guess it leaks out after many years). 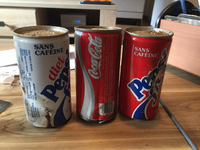 I'm in Canada, I'm not a can enthusiast but thought I might have ran into something special but maybe they're not in good enough shape. If anyone can take a look at the photos and give me some insight I'd appreciate it.